Glastonbury Tor is a hill near Glastonbury in the English county of Somerset, topped by the roofless St Michael's Tower, a Grade I listed building. 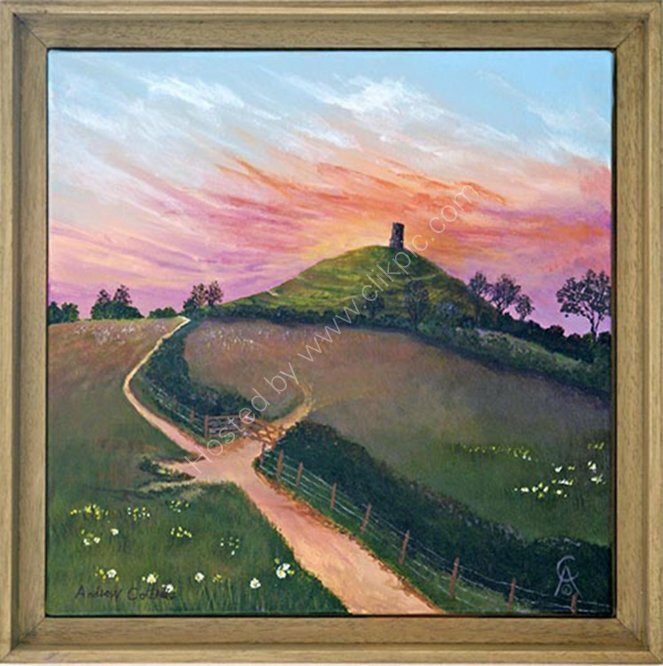 This piece is inspired by the view across to the Tor on a summers eve. Framed in an oak floater frame and ready to hang.